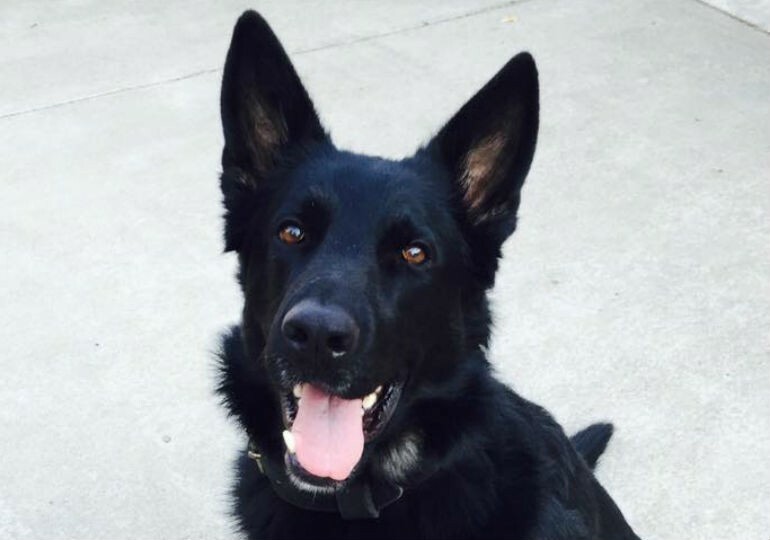 When K-9 officer Peydro was injured in the line of duty back in May, his handler, Officer Juan Barerra feared the worst. Peydro was pursuing a suspect May 28th, when he was hit by a car. Peydro was rushed to UC Davis Veterinary Medical Teaching Hospital, where he was treated for both facial and spinal injuries. Thanks to the efforts of the veterinarians at the hospital, Peydro was stabilized and began his long recovery journey. Now, four months later, Peydro shares a heartwarming moment with Dr. Jamie Peyton, one of the veterinarians involved in saving his life. Peydro and Dr. Peyton reunited in honor of the Doggy Dash, an event that raises money for K-9s injured in the line of duty. Peydro and the rest of the Woodland Police Department K-9 team participated in the race, coming in 5th place.